New to the Nachos? 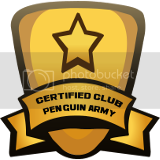 Click >>HERE<< to join! Welcome to Finals Week, Nachos. What we do now and how we prepare this week will directly affect how well we will do this weekend in our Legends Cup battle. It’s time to be active and truly focus in, so that we can prove that we are the greatest this weekend. 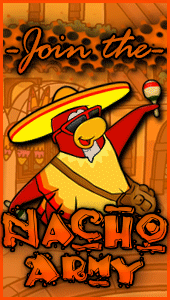 Approximately two weeks remain in Club Penguin and apparently we still have some unfinished business with the RPF, so let’s finish strong, Nachos. NOTE: PLAN YOUR SCHEDULE NOW. 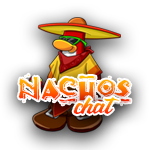 We need ALL Nachos here this Saturday (most likely 3 pm EST…). Make sure you’re able to make it; you won’t want to miss it. Official time and details will be posted when announced. *Don’t forget about daylight savings time, so it’s now an hour earlier for UK people. COMMENT ON WHAT BATTLES YOU CAN ATTEND! I think I can attend the ones on Monday and Tuesday. Is this a purely defensive war? Will we not invade RPF? I can come to the Monday and Tuesday 3:00 EST events! Wednesday is a little bit tricky because I have to remain after school for band, but otherwise, Nachos shall prevail! I’m new here, so I unfortunately missed the Monday battles. But since I have a snow day, I should be able to go to both of Tuesday’s battles. Wednesday is the same, so I can go Tuesday and Wednesday.